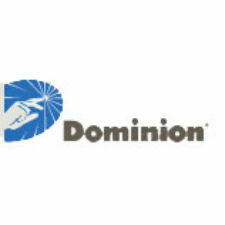 Dominion Resources announced Tuesday that it will provide $1 million in environmental stewardship grants through the Dominion Foundation, the company’s philanthropic arm. The competitive program is designed to support specific short-term projects by nonprofit organizations working to improve the environment in communities served by Dominion companies. For complete details and to submit an online application, please visit: www.dom.com/envirogrants.